Daedalochila peninsulae is a terrestrial snail that has not been widely documented. It has only been found in 5 counties in the whole United States! The purpose of this website is to provide those interested with knowledge, pictures, and credible information regarding this particular species of snail. As a result of the small amount of information recorded from Daedalochila peninsulae, use of information about the species' Genus, Family, and Class may be used to supplement its own information in an effort to provide a well rounded picture of this species. Information that is not particular to Daedalochila peninsulae will be noted when used. My hope is that this website will provide the tools necessary to help researchers and those interested uncover the unknown information and provide a complete picture of the life and history of Daedalochila peninsulae. To start learning about the life and history of Daedalochila peninsulae, its Classification and Origin of Name is the best place to begin. 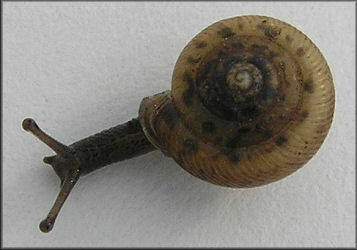 To learn more about other types of snails, visit: Wisconsin Land Snails. To learn more about other organisms, visit: Multiple Organisms.